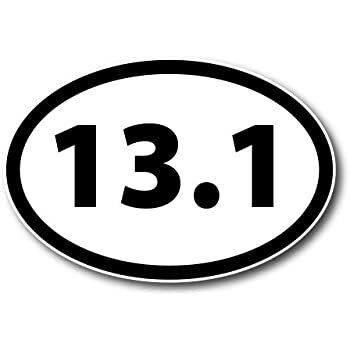 I’m not sure when I learned what this bumper sticker means, but I now know it is a declaration that the driver has completed a half-marathon. One of the reasons I now know that is because I have completed a half-marathon myself: the armed forces half-marathon in Concord, CA. I completed the half-marathon for the achievement. I wasn’t trying to lose weight or improve my fitness. I wasn’t even trying to have fun with friends; I ran alone. I was merely trying to tick of the 13.1 box. I was merely trying to earn the sticker. I was merely trying to earn the right to say I had done it. There are many things I do like that, many things I do just to earn the bragging rights. I’m what’s called “an achievement hunter”. I like getting those stickers and ticking off those boxes. What I realized as this car and its sticker passed me, though, is that achievements aren’t all that great. No achievement I’ve earned has changed my life that much. The half-marathon didn’t (I didn’t even put the sticker on my car because I was afraid it would be arrogant). Jumping out of an airplane didn’t. Scuba diving didn’t. Surfing didn’t (even though it was tons of fun and I keep going back to try again every chance I get). Getting my master’s degree didn’t. A guy asked me Saturday if I had my master’s, and I had to think about it. I had forgotten if I did or not. It literally did not change my life one bit (well, okay, I did learn some things, but now about five years later I’m not sure what those things were and I have severe questions whether they were worth the time and money it took to learn them). And there are several others. In all of them, we find something much different than achievement. We find something that is natural; there is no need to force fruit, because it just grows (yes, it grows better with some attention, but it is still a rather naturally-occurring thing). We find something that is humble; you have the good kind of pride about fruit, the pride of participating in something good (Galatians 6:4), but not the evil, arrogant kind of pride. We find something that is longer lasting; fruit might be forgotten as easily as achievement, but the results are eternal. We find something that is just plain superior. The fruit Jesus and His followers talking about is better on every level than the achievements I try to accumulate. I don’t know what the driver of that car was trying to tell me with his bumper sticker, but I do know what I heard. I heard that I need to be less of an achievement hunter and much more of a fruit producer. This entry was posted in Random Thoughts, Uncategorized and tagged achievement, belief, believe, Bible, Christian, Christianity, Faith, fruit, God, Jesus, Jesus Christ. Bookmark the permalink.